1. 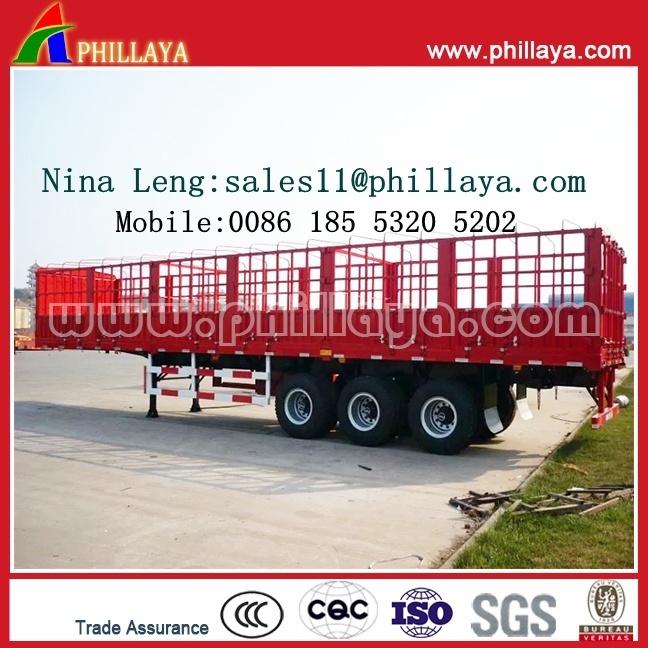 The trailer's body is made of high quality steel by advanced technology and strict production process. The trailer has reasonable structure, reliable performance, convenient operation and good appearance. 2. The rated capacity varies widely from 30Tons to 100Tons, and the dimension different from 7000mm to 18000mm, we can manufacture it according to your needs. 3. The axles can be Fuwa /Bpw with different tonnages by your need with price differences. 4. The suspensions can be: Air suspension, mechanic (leaf spring suspension), bogie suspension, etc. 5. The side wall height and side or back door numbers and opening ways have several options for your better usage. 1.3C&ISO Agreement, 1Year Guarantee Term, Main-beam Lifetime Promise. 2. Small Order Can Be Accepted. 1. Send us inquiries on your desired product /mdel through our contact information. 2. We shall reply you within 12 hours. 3. Negotiations on your needed configuration. 4. Configuration on the tech data. 6.30% down payment or LC issuing. 8. Manufacturig process updated news. 12. A/S service for 1year. WELCOME TO VISIT OUR FACTORY, WE SHALL PICK YOU UP FROM THE AIRPORT. WISH THE LONG-NEW MUTUAL BENEFIT &BusINESS RELATIonSHIP CAN BE BUILT BY OUR JOINT EFFORTS. Electrical System 24V, 7core socket, lights according to European standards. Color and Logo Depends on the buyer's requirement. Pin Height According to the height of the tractor saddle. 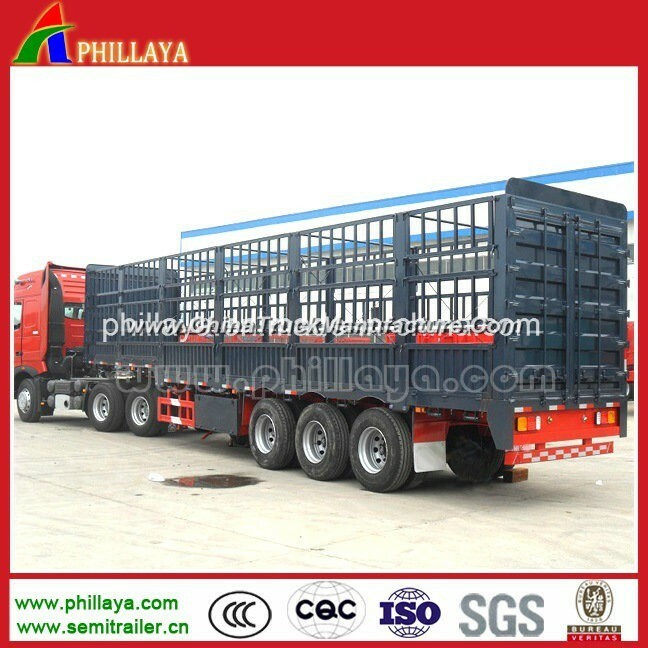 Qingdao Phillaya International Trading Co., Ltd, a comprehensive corporation majored in the Technology R&D, Import & Export of semi trailers, tanker semi trailers, special vehicle, engineering mechanic products, tires, and etc. Phillaya International Co., Ltd, its semi trailer factory located in Heze City, Shandong Province, and the tanker semi trailer factory located in HuangHua City, Hebei Province, and all our factories were authorized and certified by the Chinese Government as the qualified world manufacture for special vehicles. Our factory has the employee of 1500 in sum, 78 tech workers, 18 advanced engineers...Our manufacturing / production lines are mainly divided into 3 branches: Semi trailer line, tanker semi trailer line, special vehicle line (such as modular trailer, hydraulic dolly trailer, wind-power equipment trailer...), with the manufacturing and quality controlling equipment and devices of more than 300sets, we are the pioneering corporation among the domestic competing industry to stand the ISO9001 & CCC inspection, getting these certificates to promise customers with highest quality we can offer. Our main products are ordinary semi trailer, container semi trailer (flatbed /skeletal for different dimensions), dump truck trailer, tanker semi trailer, concrete mixer truck, boat hauler semi trailer, hydraulic line semi trailer, modular connection semi trailer, bridge construction / frame beam semi trailer, dolly semi trailer, wind-power equipment transportation semi trailer (extendable or with wind tower fixers), multi-axle hydraulic steering axle semi trailer, 80T-1200T hydraulic line-axle transportation vehicle and project engineering, also the refitting and design on the overseas and domestic special vehicles.